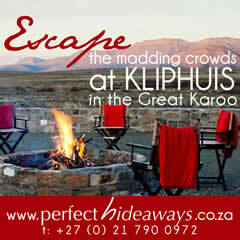 When travellers of the world decide to explore South Africa a discerning few find themselves in the Karoo, where nature dazzles on the endless plains and among the mountains. Here, in blazing summers and icy winters, the silence is so pure you can hear God think, the stars so near you feel you have only to reach out to touch them. 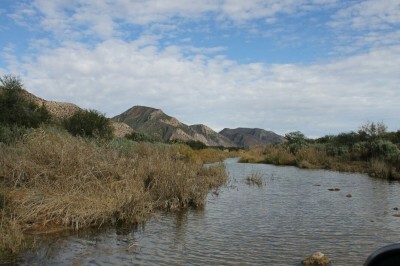 The Karoo is one of the world’s most unique, arid zones. In South Africa it stands alone, globally it is an envied rarity. 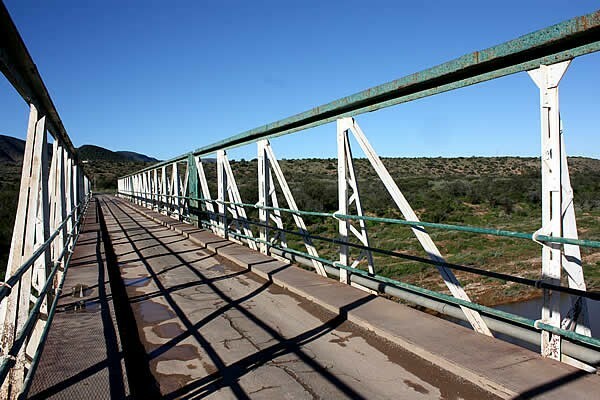 Situated in the western parts of the Eastern Cape, Steytlerville is the home of peace and tranquillity. Here one can rest, relax, refresh yourself and recharge the inner batteries of your soul, while exploring, enjoying yourself and indulging your need for some unusual entertainment. 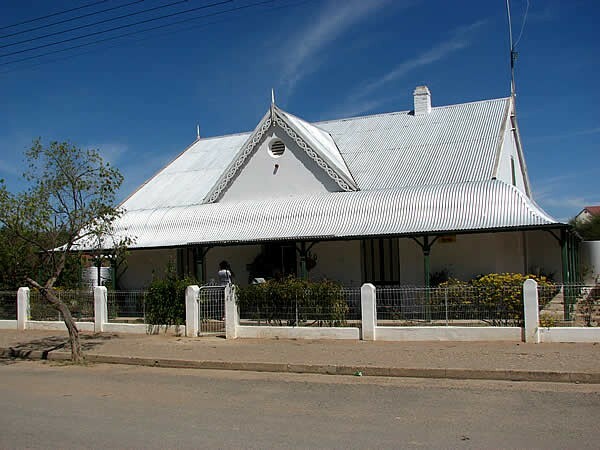 Steytlerville lies at the entrance to the eastern parts of the Baviaanskloof and showcases a host of architectural gems like quaint Edwardian- and Victorian-era houses with tin roofs and large street-facing verandas complete with broekie lace and stained glass windows. 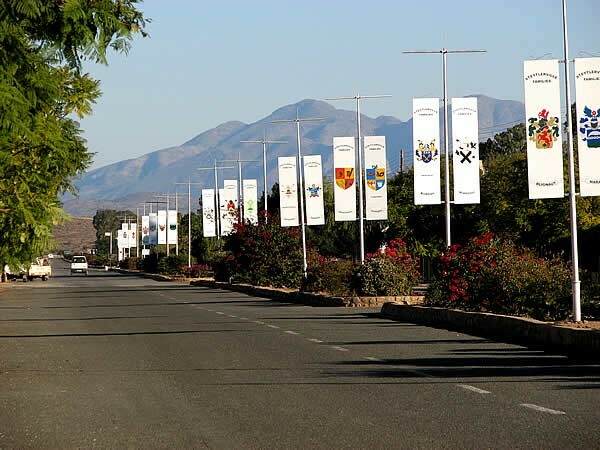 One of the best towns the Karoo has to offer, Steytlerville with its bougainvillea-lined streets and horse-drawn carts is a diamond waiting to be discovered. 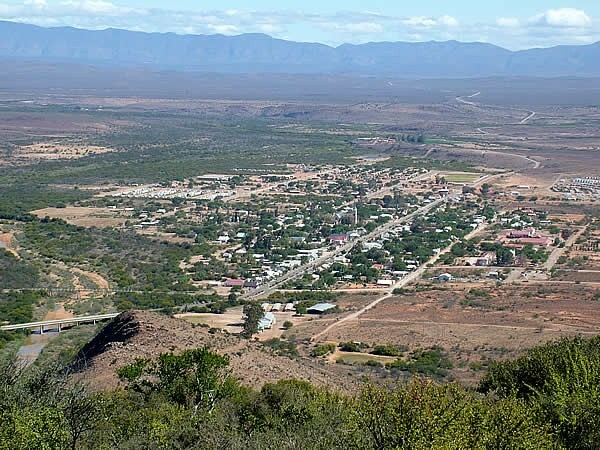 It comes as no surprise then that the town is home to several South African personalities, as a holiday in this town easily leads to relocation. 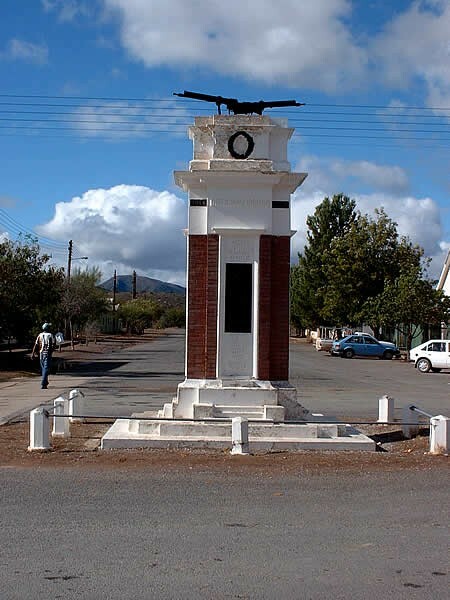 In 1875 the farm Doorspoort, central to the heartland of Willowmore, Uitenhage and Jansenville, was purchased from the Cape Government in order to establish a town and church. A surveyor was contracted to subdivide the farm and to survey as a start 200 erven. In September 1880 these erven were auctioned and it fetched prices ranging from £80 to £30 an erf. 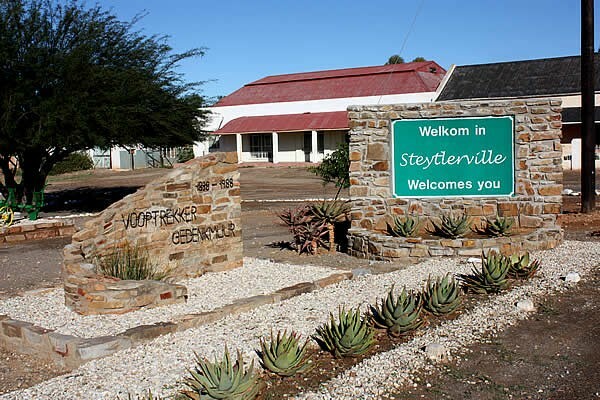 In 1876 Steytlerville was established and named after Reverend Steytler whose efforts resulted in the establishment of a new Dutch Reformed Congregation. The exceptionally wide Main Street of Steytlerville was designed at the time to allow ox wagons to turn around at both ends. 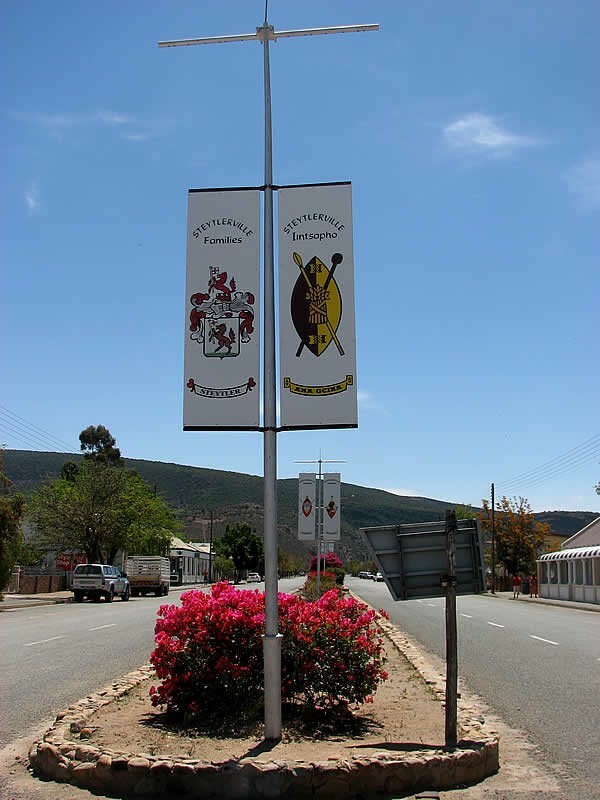 Nowadays it is divided by flower boxes planted with bougainvillas in the centre and the lamp poles are adorned with the coats of arms of families associated with the town and area. Houses provide fine examples of Edwardian and Victorian architecture. In 1910 Port Elizabeth and Uitenhage was abuzz with the news that a diamond had been found on the farm Springbokvlakte in the Steytlerville district. A Mr Dorfling had found a diamond of over four carats, among others. A group of prominent men in Port Elizabeth and Uitenhage then formed the Springbokvlakte Diamond Prospecting and Developing Syndicate. They offered shares of one pound in the prospecting area. 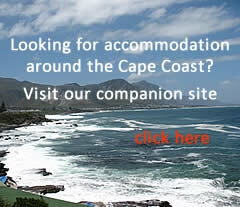 In those days the site was described as being eight hours by rail and by cart horse from Port Elizabeth. Mr PK Roberts was appointed to investigate the prospects and reports improved daily. There were three shafts on the property, each approximately 35 feet deep and 220 feet in length. Several more diamonds had been discovered, but towards the end of November 1910, a hitch was found. According to the title deed of the farm over which the syndicate had the option of purchase, everything had to be put into a proper legal basis; the directors thought it advisable to suspend operations. And that was the end of the diamond rush in Steytlerville. Dr A.G. Visser lived in Steytlerville during 1909 – 1916. 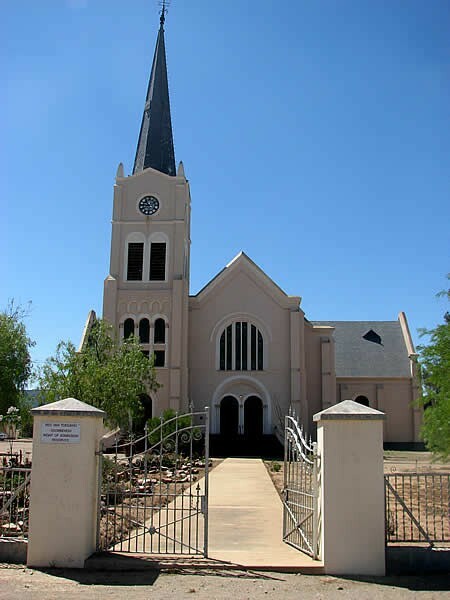 Besides being a medical doctor and poet, Visser was also very musical and conducted the church choir during Sunday morning services. During this time he would quickly slip out to see his patients when the service commenced, and slip back in again just in time to lead the choir in their closing hymn. His one time home in the main street is now declared a National Monument. Dr Danie Craven or "Dok" has an interesting connection with Steytlerville. It was here where he wooed Beyera Hayward and eventually married her in the Steytlerville Town Hall. Whilst being the Springbok Captain he played a game for Steytlerville against Willowmore. He mentioned it as one of his hardest games ever, seeing that everybody kept telling the players to "give the ball to Craven" and of course, he was drilled into the hard ground playing field by all 15 opponents. Nobody has made a contribution to rugby of such variety and intensity as Danie Craven did - and nobody will, not with the changed workings of professional rugby. Craven played for and captained the Springboks when they were at their best and the masters of the rugby world in the thirties. Dok passed away in 1993. We are not a big 5 reserve, but boast with 24 hoofed and many other species. Experience on foot what nature offers.